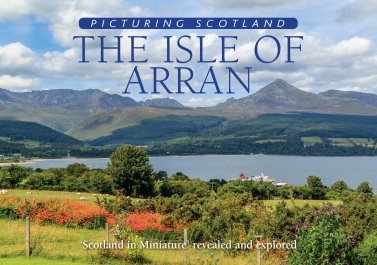 The Isle of Arran sits cradled within the stretch of sea between Ayrshire to its east and the Mull of Kintrye to its west. It is often described as ‘Scotland in miniature’ because, just like the rest of Scotland, it has everything! Its character is extremely diverse. On the wild side there are craggy mountains, Goatfell being the highest while Cir Mhor is the most challenging. Arran’s top 10 peaks are all above 610m/2000ft. The island is blessed with lovely glens, waterfalls and rivers and a fine collection of villages. The port and main resort is Brodick, nicely framed by the backdrop of Goatfell and the surrounding mountains which provide a constantly changing scene according to the time of year, the weather conditions and the time of day.